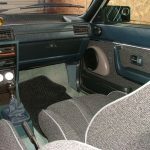 Selling my 1982 Audi 4000 Coupe which is spotless and in great mechanical condition. It has Hagerty classic car insurance and is driven only in the Summer months – NEVER driven in winter!. It has a professionally installed Sound System which is one of a kind and really, it has to be heard to realize how good it sounds. It will satisfy any discerning audiophile. I regretfully have to sell it. I’m moving into a condo and I just won’t have the space for it. 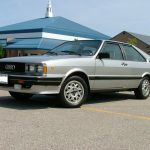 This car needs a good home and my target customer would be one that likes the classic Audi Coupe cars AND appreciates a high end car sound system. For more details, contact me and I’ll provide you with a link where you can read and see more images of my Audi. $800.00 CAD non refundable payable by PayPal immediately after the closing of the auction. The balance of the payment is CASH ONLY! due in 3 days after the auction closing. Outside the car looks nearly stock, with only the addition of a dual-outlet exhaust and fog lights. The center caps are replacements, as originally they would have been color-matched silver. 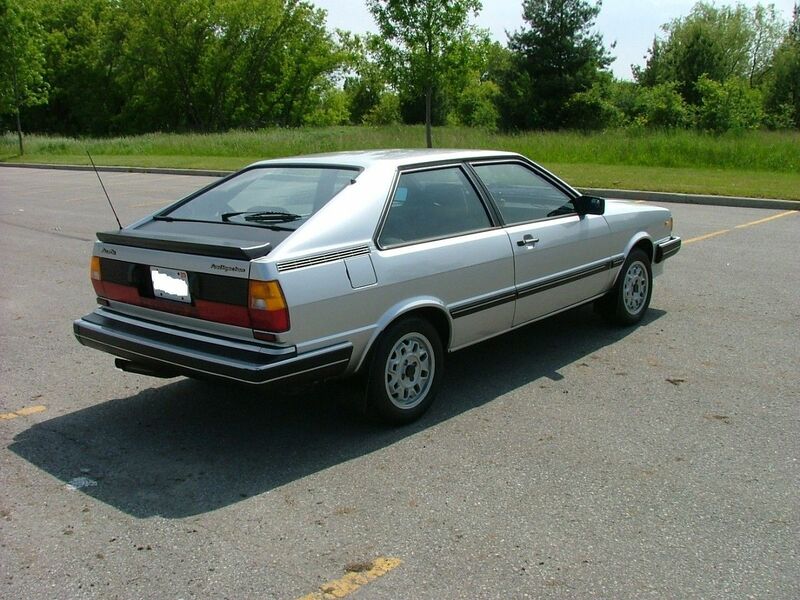 Early Coupes shared the matte-black upper trunk lid with their Quattro brethren but had a flush-mount lower spoiler â€“ unaffectionately referred to as the â€œspongeâ€ by some. This is not least because of the outward resemblance to a sponge, but also because they absorbed water and caused rust on the lids. This one looks remarkably clean. 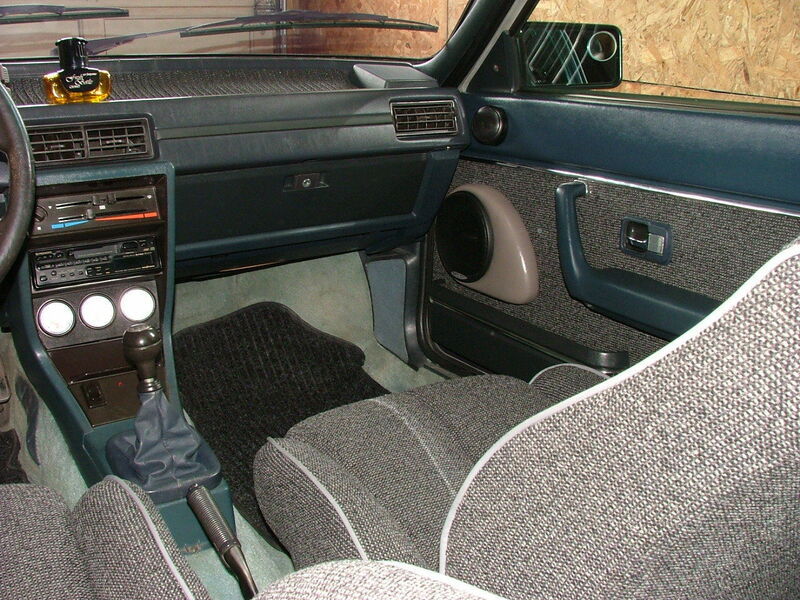 This model was equipped with a rear wiper/wash, power windows and mirrors but not a sunroof or air conditioning. Poorly ventilated and with lots of glass, this is not an example suited for places where the average temperature is high. The external color looks to be Diamond Silver Metallic L97A and it looks remarkably clean. Itâ€™s inside where things get a bit disappointing from a purity standpoint, as the ill-fitting stereo upgrade has marred an otherwise pristine interior. Itâ€™s just plain ugly in every shot. The installation looks tidy but it’s just out of place in an untouched original car to me. But the stereo alone shouldn’t be a deal breaker. Pricing on early Coupes is usually low compared to Sciroccos, and so far with two days to go this car has yet to break $4,000. 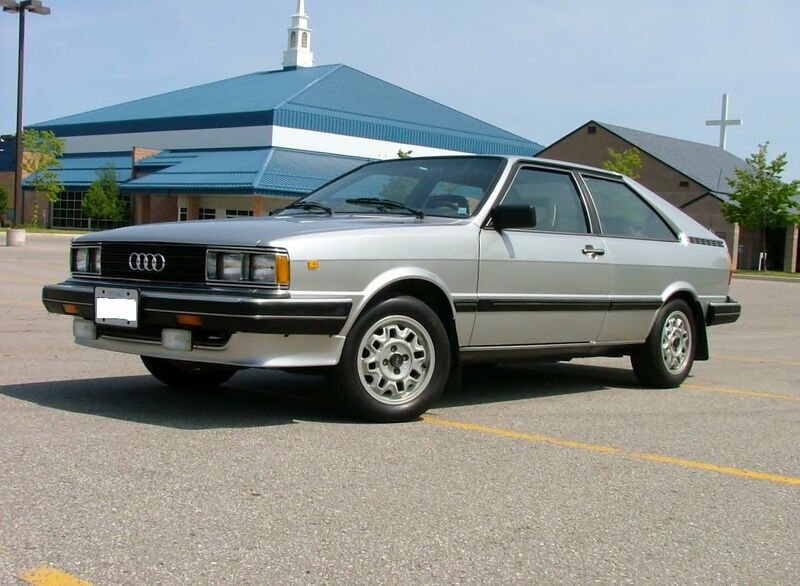 That’s a heck of a deal on a beautiful classic Audi, especially considering the Quattro’s recent sharp rise in value. If this one stays under $5,000 I’d consider it very well bought. 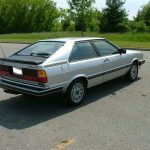 Tagged 1982, 2.1, Audi, B2, Coupe, Diamond Silver Metallic, Typ85, Type 85, WE. I love the B2 bodies, coupe and 4 doors. I’m guessing this had a ROW engine with a bit more punch than their US brethren? Either way, the 5 cyl with two less doors and no AWD system to cart around probably moves out sharply while getting 30 MPG. A set of HRs and sport struts of your choice will have this car handling like a dart. I simply ask what can you get for the same $ that is as sharp and fun? I wouldn’t sell mine for multiples of the current bid. 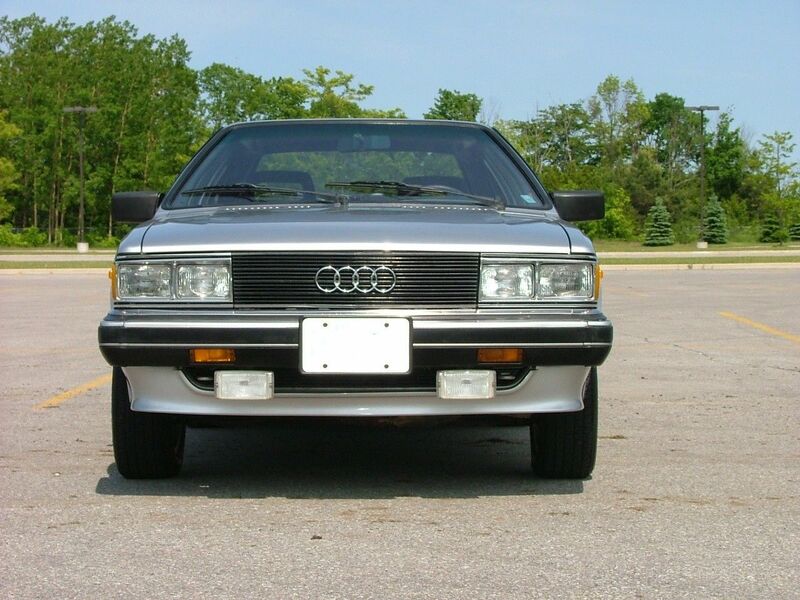 @Fstntq – I don’t believe that’s accurate – I think the Canadian market cars had the same motors as the U.S. spec cars. Unless this was a German market car imported it wouldn’t apply, and even then I don’t think there was a huge difference on the 2.1 performance. 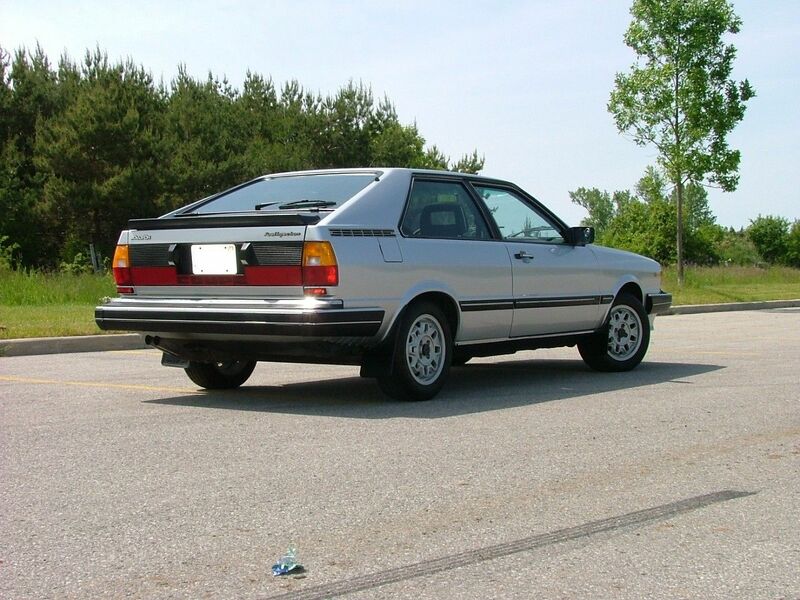 The later cars, like the ’83 GT you referenced, not only have more power but a closer ratio box. They’re really a lot sportier. That said, performance should be on par with Sciroccos which means fun and tossable if not knock-your-socks-off. In regards to your last statement – nothing, and I agree 100% – it would take a lot more than the current bids to make me consider handing the keys to my GT over! I really like the early B2’s, both coupe and sedan forms; although they may not have had the driving chops of the newer cars, I really liked the crispness and the lightness of the design. Thinking of these cars brought back my memory of the 5+5… Wasn’t there even a two door sedan 5+5? 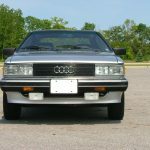 The 5+5 is often sought today for Sport Quattro replica builders, as the windshield, a-pillars and doors especially were used in the Sport. Here is another ’82 for sale. Looks to be close to the same condition as the one from Canada. Thanks, Jonathan – I caught that one too and it’s coming up!